The New Cavendish Cemetery is located approximately 1.5.kilometres north of the centre of Cavendish, on an elevated site in the north-west corner of the township. There are a number of graves dating from the late nineteenth century to now within the cemetery, and a range of memorials. Immediately to the north of the entrance is a new memorial rock with small bronze plaques attached. The only structure on the site is a wooden shed with a verandah located at the entrance. The cemetery is in excellent condition and retains a very good level of integrity. 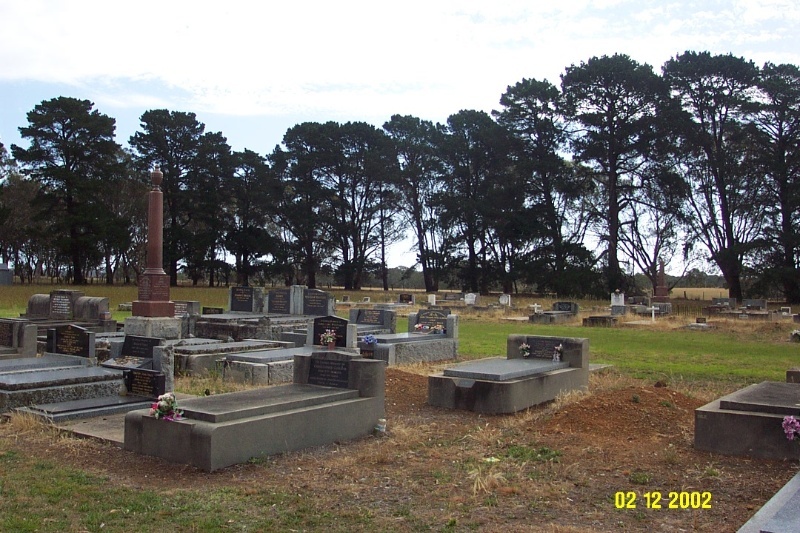 The New Cavendish Cemetery is of historical, social and architectural significance to the Southern Grampians Shire. The New Cavendish Cemetery is of historical significance as an enduring record of those who have lived and died in the community, as a reflection of passing phases, ways of life and death, particular events, and as a source of documentary evidence. The cemetery has further historical significance for the burials of individuals and families who made important contributions to their community. The Cemetery is of social significance for reflecting the customs and tastes of the community, for reflecting different religious values, and for reflecting different economic and social status. It is also important as a place of homage and of passive recreation. The New Cavendish Cemetery is of architectural significance for its range of tombstones, memorials and iconography reflecting the aesthetics of different periods and groups within the community. It is also of interest for its overall design and position within the broader landscape. The condition of the cemetery grounds and graves is good. 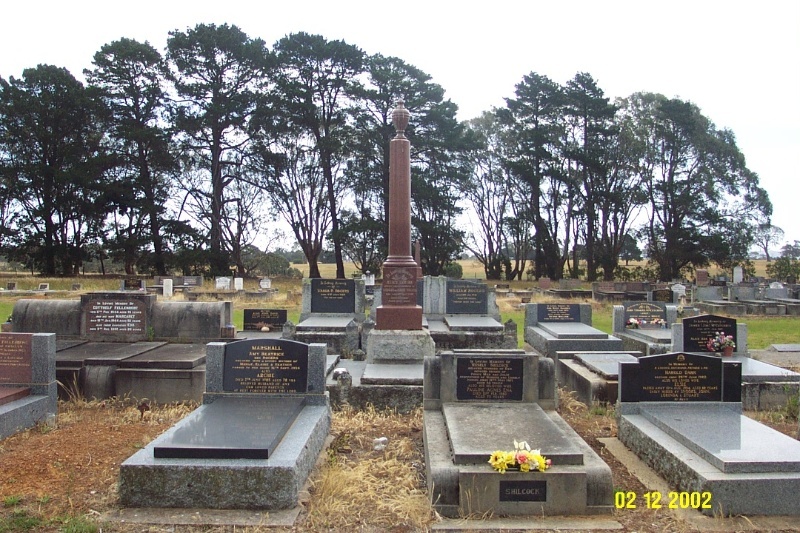 The New Cavendish Cemetery is located on the west side of Cemetery Road, off the Natimuk-Hamilton Road and approximately 1.5.kilometres north of the centre of Cavendish. The cemetery is positioned on an elevated site in the north-west corner of the township in an area of about 4 acres. The graves are approached through a set of gates of early 20th century origin. The graves are to the south of the entrance. Immediately to the north of the entrance is a new memorial rock with small bronze plaques attached. The only structure on the site is a wooden shed with a verandah located at the entrance. A number of native and European trees and shrubs are planted along the boundaries, including a row of mature Monterey Pines (Pinus radiata) on the west side. No formal plantings or landscape elements are visible.